National elections are always a big deal in Washington, where politics is the largest “industry.” It is safe to say this latest presidential election, however, was watched with even more interest with emotions stronger than usual on both sides. 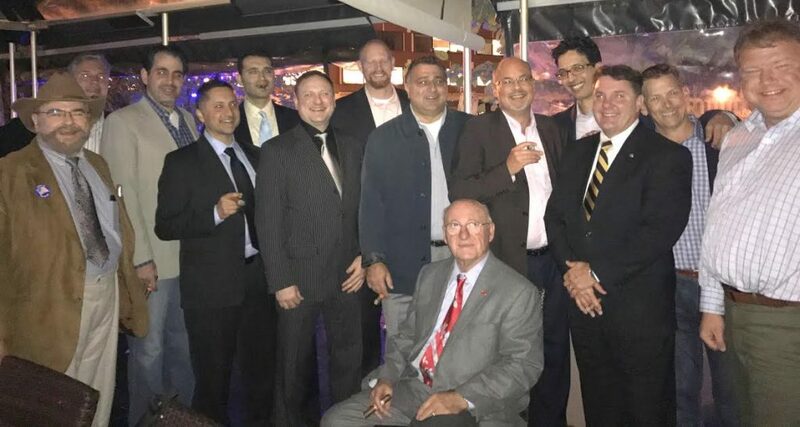 In that context, I was particularly excited when I found out about plans for a cigar dinner the night after the election (November 9) organized by Paul Garmirian Cigars, which has its headquarters inside the Beltway in nearby McLean, Virginia. The dinner was fittingly hosted by Morton’s The Steakhouse at the downtown location just blocks from the White House. The event was the first seated PG dinner hosted in Washington in a decade, which isn’t a coincidence since the city’s smoking ban went into effect in 2007. Fortunately, Morton’s has a covered balcony which, no matter the weather (it can be enclosed and heated), is without a doubt one of the best places in the city to enjoy a cigar with a fine meal. Fittingly, the dinner was neither a celebration of the previous night’s election results nor a consolation. Except for a handful of walk-ins, most of the nearly 50 guests had made plans to attend long before the election was settled early that morning. Over four courses of excellent food, drink, and four PG cigars, guests bonded over their shared enjoyment of fine cigars and food. Politics came up, of course, as not discussing the biggest news of the day wasn’t an option. But the conversation was never heated nor angry. Cigar smokers can attest that when you’re enjoying a cigar at your local cigar shop, you tend to run into a diverse group. In the chair next to you could be a retiree, a lawyer, a college student, a small business owner, etc. The same dynamic made the PG dinner so enjoyable, especially after an exhausting, seemingly never-ending, highly contentious election. Does this mean cats and dogs are at peace, and Democrats and Republicans now agree on politics? Hardly. Especially when you consider that as we lit our PG 15th Anniversary Belicoso Extras, protesters were lighting candles a few blocks away as part of their vigil in front of the White House. Still, it does remind you that cigars have the unique ability to create camaraderie that otherwise wouldn’t exist. As the night wrapped up, the question on everyone’s mind was when would Morton’s and PG hold their next dinner. Hopefully soon. Anytime people can put their politics and agendas aside for an evening and come together over premium cigars, it is worth celebrating. Is there an invite list for these sort of events? I live and work in DC and would love to be able to buy a ticket in for a future dinner. Check out the PG website and sign up for their newsletter/mailing list, that’s how they send out invites.